For starters, Jetty Park is a very popular campground. It is one of the few, if not only, sites in Brevard County, FL that is both beachside and oceanfront. There are few things better than being able to walk right out to the beach and enjoying the cool sea breezes! While there are other campgrounds in the area, there are no others that offer both of these location-based amenities. For stays during the week, you shouldn't have any issues getting a spot. However, if you are looking to stay for the weekend, booking as far in advance as possible is highly recommended. Jetty Park does offer the convenience of online bookings, which is good, because the probability of getting someone on the phone is slim to none, especially during the busier months, which are all the months when the rest of the country is cold! After talking to a few of the front desk personnel, I found out that they receive so many phone calls and messages that it generally takes until Tuesday or Wednesday just to return all the messages from the weekend! No matter which site you choose, you're less than a 5 minute walk from the beach - requisite sea breezes included! There are separate entrances to the beach from the RV section of the park and a different one for the general public. This is very nice since (especially on the weekends) the park gets very busy. It is one of the most popular beach access areas in the Cocoa Beach/Cape Canaveral area. As with most state parks and county parks, Jetty Park is pet-friendly. One thing to note though, this is only in the main portion of the park. There are also water only sites directly alongside the jetty that are available. However, these sites do not allow pets. Keep that in mind when you are booking if they try to put you out "on the jetty". They are also very thorough in ensuring pets are up to date on rabies certificates, so make sure you have copies for your furry ones. Another (new) feature that Jetty Park just added is the availability of small cabins to rent. This is very handy if you have friends that you want to visit with that don't have an RV or that are just visiting the area you're in. It gives them the opportunity to experience living in an RV park without having an RV. Sites towards the rear of the park (closest to the beach) are the most difficult to get as they are the easiest walk to the beach. They are also on the smaller side. Shade is definitely something to be desired if you visit during the summer months. The sea breezes will cool things off a bit, but the humidity during the summer is very persistent, so look for a spot with shade if possible. The part of the park towards the front has larger sites and is, in general, more shaded. These sites have a lot of room compared to the smaller sites near the beach! If you require a larger area, these are the sites for you. The camp store has the usual camping friendly items including ice and firewood, should you need it (in Florida, for only about two weeks a year!). Make sure that when you check in, you ask for the 20% off discount coupon. This will give you 20% off any item in the camp store. It's only good for one-time use, so make sure you make it worthwhile! At check-in, also make sure you get the wifi password. We found it to be adequate for simple surfing, etc, but not for anything intensive. 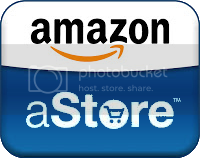 Our Amazon aStore is now live!